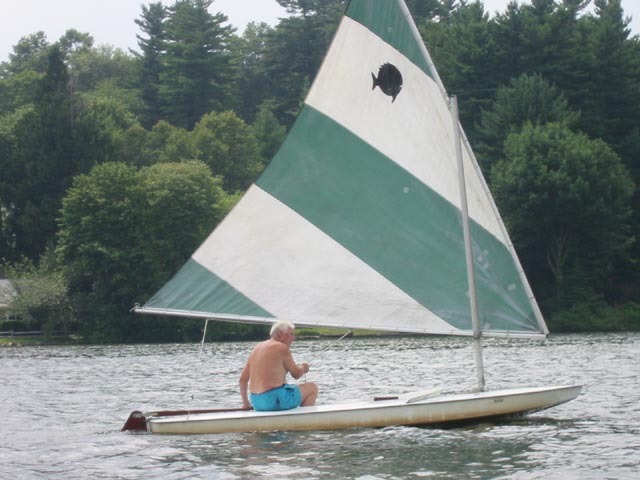 Jack Fles, longtime Truesdale Lake resident and sailor, passed away yesterday. Our condolences to his family. Jacob William Fles, known as Captain Jack by friends and family, died on Monday, March 21, at his home in South Salem. He was 89. Born in Paterson, N.J. on Sept. 6, 1921 to Jacob Nicholaas and Hester Fles, Mr. Fles worked as a corporate pilot for Wayfarer Ketch for 30 years. A Navy veteran and carrier pilot, he served in the Battle of Midway and witnessed firsthand the bombing of Iwo Jima. 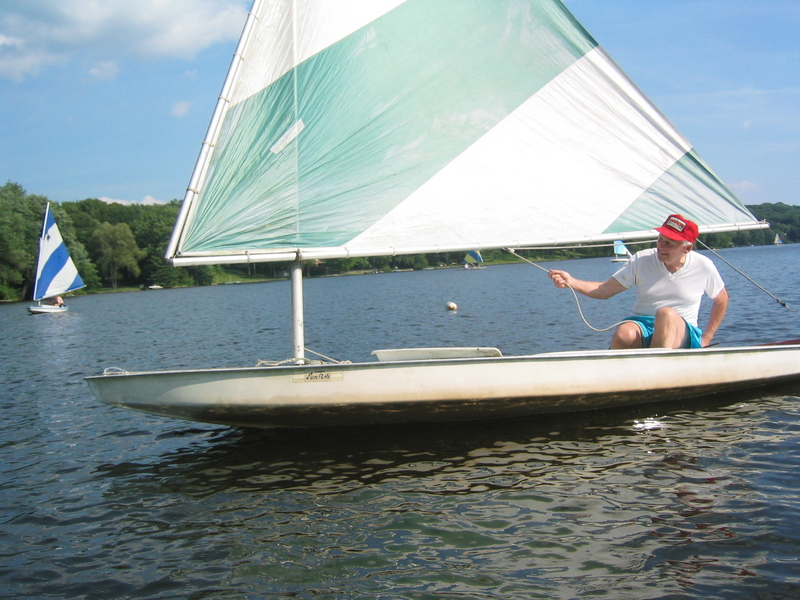 A pioneer in corporate aviation, Mr. Fles spent his days sailing, golfing and woodworking, specializing in wooden canoes. He enjoyed gardening and skiing up until the age of 88. His family said Mr. Fles will be remembered for his optimism, practical joking and willingness to lend a hand wherever needed. Mr. Fles is survived by his wife of 58 years, Joan; sons Jack and his wife, Becky (Walker), of Gardiner, Maine, and Robert and his wife, Donna (Festo), of Somers; grandchildren Keegan, Broghann and Jacob, all of Gardiner, and Jessica, John and James, all of Somers. He was predeceased by son Thomas P. Fles in 1983. Calling hours are Saturday, March 26, from 2 to 4 and 7 to 9 p.m., at Clark Associates Funeral Home in Katonah. A funeral service will be held on Sunday, March 27 at 1, at the Presbyterian Church in South Salem*. 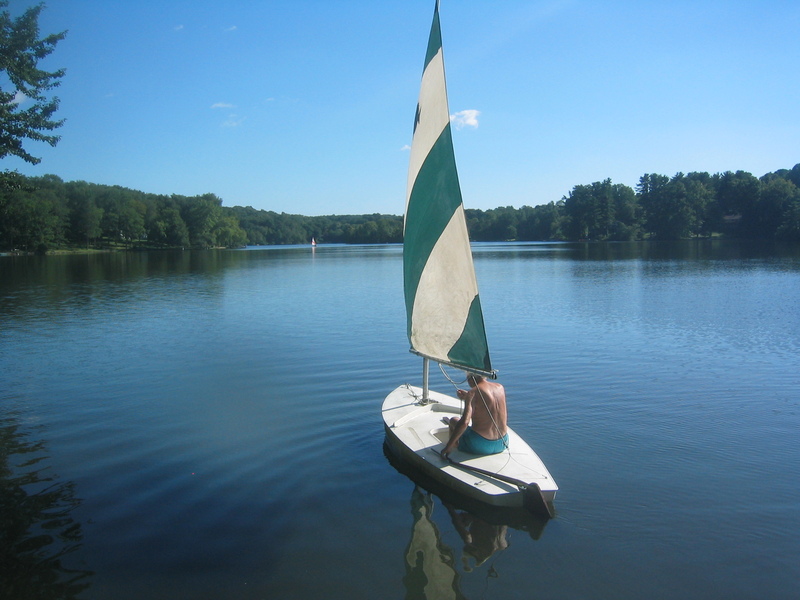 Jack Fles sailing off with 2006 President’s Cup in hand. Jack was one of the best “shore sneakers” ever.